The coast between Lisbon and the Algarve is a perfect touring destination all year long. Magnificant beaches, virgin cliffs, empty trails and side roads and the calm life and tasty food of Alentejo provide perfect conditions for best bike holidays no matter if you are looking for action and adventure or smoove rides and a good time! The first question is already how to leave Lisbons busy city trafic on both sides or Rio Tejo. Here you have 3 interesting options: THe ferry boat from Belem to Trafaria, which comes with day trip via Sessimbra to Setubal. The second option is the ferry boat from Terreiro do Paco to Barreiro, followed by the train to Setubal. The third option is specially for everyone who is a bit in a rush: Catching the train from Lisbon to Faro until the station of Grandola. That way you start right out at the countryside. Find more about the public transportation below. Serra da Arrabida: The hills between Cabo Espichel and Setubal offer a mix out of cultivated wine and cork and olive yards, dens forests and great beaches.It’s a ral hidden germ near Lisbon! Odeceixe: The beach of Odeceixe is a bit away the route, but worthy to go! With it’s high cliffs and charming village it’s indeed one of Portugals most beautiful beaches. Carrapateira: The surfer village a view years ago installed a unique round way to the impressive cliffs around. A view additional miles and uphills which you shouldn’t miss! Sagres: The impressive cliffs speak for themselfs! Beside of the well known main attractions, many different highlights for all kind of interests are to find along the way. Find some of the hidden places on this map and don’t miss if you have the time to see some more than just gravel and asphalt! Bike transportation is free at all mentioned transport companies. 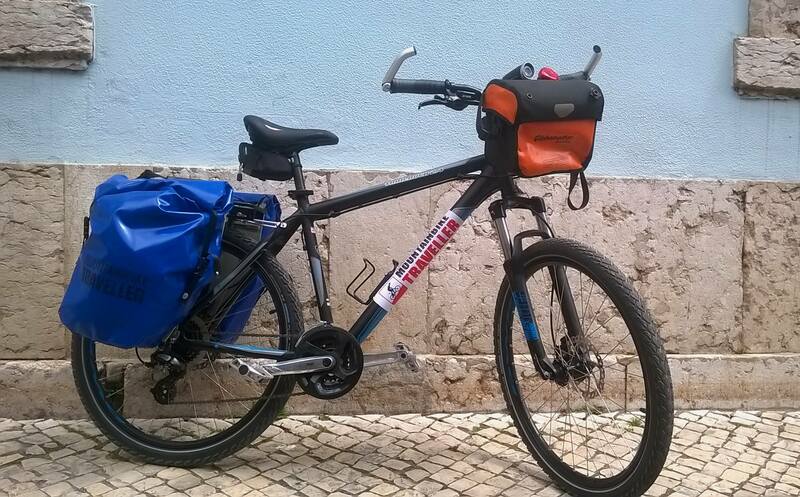 Specially the CP train between Faro and Lisbon only offers limited spots for bicycles. It’s highly recomended to book your ticket in advance, online or at any CP counter.